I had the pleasure of attending Speak Out! voice therapy training a few years ago. Since then the method has become an integral component of my treatment. I find myself reaching for the program materials and incorporating the techniques on a weekly basis. Speak Out! has become one of the most enjoyable CEU courses of my career and I’m happy to share my experience with the program with you. WHAT IS THE PARKINSON VOICE PROJECT? Parkinson Voice Project is an organization of speech-language pathologists who developed and offer the Speak Out! voice therapy program at their beautiful clinic, located in Richardson, Texas (just north of Dallas). Parkinson Voice Project offers the Speak Out! program to individuals with Parkinson’s Disease (or Parkinson-like conditions) and the program consists of several layers. First, participants attend 12 individual therapy sessions (ranging 40-45 minutes in length). Participants are also expected to complete daily home practice. This is essential! Once the individual therapy sessions have ended – the fun truly begins! The Loud Crowd is the ‘maintenance phase’ of the program and consists of ongoing weekly group sessions. Once trained in Speak Out!, clinicians are encouraged to form their own local Loud Crowds nationwide. Every December all members of The Loud Crowd are invited to travel to Texas to participate in the annual SING OUT! performance. Finally, from time-to-time a full refresher course is required to re-optimize vocal intensity. The program offered at the Parkinson Voice Project is funded though Pay-It-Forward. No patient is billed for therapy which means no person is turned way due to lack of funds. (Say what?!) At the end of the treatment program participants are simply asked to ‘Pay It Forward’ and contribute a charitable donation for the next patient to receive free clinical or reduced services too. Parkinson Voice Project also offers live and recorded lecture series for CEUs. Check out their free lecture series here. (There is a charge to receive CEU’s but you can watch the videos for free.) If you live in the Dallas-Fort Worth area then consider attending a live community information session. WHAT IS THE SPEAK OUT! METHOD? Speak Out! consists of speech, voice and cognitive exercises designed to encourage individuals with Parkinson’s Disease to ‘Speak with Intent’. This means training patients to use deliberate intention when speaking vs. relying on diminishing automatic motor behaviors (secondary to the neural degeneration occurring in the disease process). Speak Out! is an effective, motivating and highly rewarding therapy technique. I generally see improvements immediately during the first session (especially after the initial audio/visual recording as biofeedback mixed with different cue techniques. More time is needed, of course, to generalize to more complex functional interactions. HOW TO BECOME TRAINED IN SPEAK OUT!? Meeting Dr. Boone in person! my graduate voice therapy textbook. Talk about an honor! 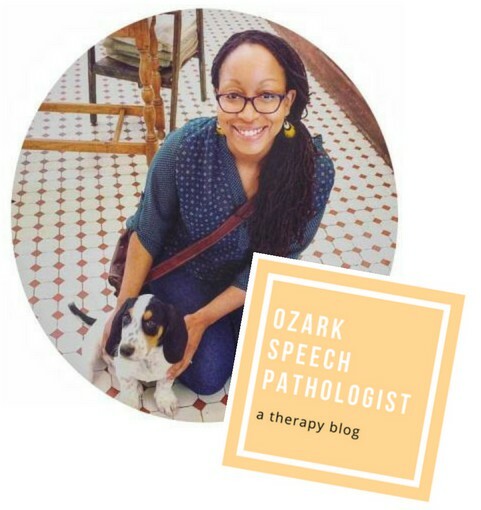 You get hands-on practice leading a therapy session with another SLP and with a ‘patient’ (a graduate of the program and member of The LOUD Crowd) . You won’t leave the training unsure of how to begin therapy Monday morning. You get to observe an example session of The LOUD Crowd. Ask questions to therapists and group members. You get to hang out with other fabulous SLP’s! ONLINE: Parkinson Voice Project now offers an online version of Speak Out! training and will mail all materials to your home. You get 30 days to complete the course in your pajamas – this is definitely a great deal and eliminates travel expenses. All clinicians receive a free therapy kit heaping with tons of materials to facilitate individual and group therapy. SLPs who attend Speak Out! training receive 1.0 ASHA CEUs (10 hours!) at the Intermediate level. Yes, I am LSVT-LOUD certified however my services are limited due to the standardized structure of the program. In my current setting all therapy sessions are 45 minutes in length, ranging 3-5 days per week. LSVT specifically requires 4x weekly 60 minute sessions. Also, the average length of stay in my hospital ranges 2-3 weeks so a course of LSVT-LOUD is rarely completed. 1. Speak Out! is a flexible voice therapy program that encourages functional loudness and cognitive-linguistic skills simultaneously (working memory, divergent thinking, problem solving, etc.). Materials are available in Spanish too! 2. After you complete training, every patient that you provide Speak Out! therapy to is eligible to order a FREE workbook for daily practice. This daily homework is essential to encourage consistency in their home exercise program for maintenance in their daily environment. 3. Speak Out! also encourages using SLP’s to use best clinical judgment and adjusting the program according to the needs of the patient. This flexibility, in turn, allows for very a patient-centered approach (vs. the rigidity that can sometimes accompany program standardization). Perks ALSO include – Free listing as a Speak Out! provider on the website. Free access to private Facebook Group. Free access to downloadable materials online. 4. The training manual comes equipped with data collection sheets, evaluation and discharge templates so that you can hit the ground running immediately after training. There are also>20 lesson plans which makes treatment a breeze. 6. Patients LIKE Speak Out!and are encouraged to practice at home. The free workbook provides fresh activities and can be completed over and over again. Caregivers can assist without the burden of thinking of what to do. WHAT DOES A SPEAK OUT! SESSION LOOK LIKE? Speak Out! is a highly recommended training program for clinicians who provide voice therapy to individuals with Parkinson’s Disease or Parkinson-like conditions affecting vocal intensity and carryover of vocal loudness into conversation. Thanks for taking the time to read through my perspective of the highlights and benefits from the program! Please feel free to message me or leave a comment below with any additional questions or information. Have you attended Speak Out! training? What did you think about it? I was just researching this method. Thanks for your input. I’m so glad that you found this review helpful to you! The training is very thorough and the perks are amazing (many listed above in the review). I highly recommend the training! Hi! I’m definitely interested in learning more about this method. I tried to find the free version of the lecture series for Speak Out via the link you posted, but can’t figure out how to access the video(s) for free (without ASHA credit). Any guidance would be appreciated! Hi Julie! The videos are most definitely free! :). Click on the link in the above blog post or click here You will be brought to a page listing all of the past lectures. Choose a lecture and click the title. On the right of the screen will be the free video. You can maximize it on your desktop screen too. Hope that helps! Thanks Jessica! I can see the free lectures from the past lecture list, and those work. 🙂 I think I misunderstood and thought the Speak Out lectures were also free (for no CEU credit). It looks like if I wanted to access this online I would have to register for the courses. Sorry to keep bothering you! Hello! I am a graduate student in Mississippi who just started therapy with a client who has Parkinson’s. I will be providing therapy to the client twice per week for 50 minute sessions. We will have around 10 weeks of sessions together during the Spring semester. Would this method be beneficial for such a short duration of time? As graduate students, we are assigned to a different client each semester, so another clinician will take over the client’s care this summer. It is possible the clinician after me could continue to implement this method, but I’m not positive that will happen. How long does it take to do the online training and to receive the materials in the mail? I am willing to pay the money, just want to ensure I will be trained and ready to provide therapy quickly so that valuable time is not wasted. Any input is much appreciated! Hi Morgan! Thanks for reaching out with a question regarding Speak Out! It’s my understanding that the program is recommended for at least 3-4 sessions per week with a therapist, with an additional expectation for daily home practice. Therapy lasts for 4 weeks but some individuals may need additional time for carryover. It’s hard to say if your patient would benefit from this method, as I would need to conduct a full evaluation. 10 weeks is more than enough time but there needs to be more frequent weekly visits. I do see that the Parkinson Voice Project allows graduate students to attend training so it would definitely increase your skill set in voice therapy and provide advanced training. Is your clinic supervisor also able to receive training? I would think you’d benefit from mentorship after completing the training – voice therapy is delicate and not all patients are a good candidate. An ENT consult is also very important in my opinion. Live training is completed over the course of 2 days. I believe they give you 30 days to complete the 10 hour online training. The clinicians at Parkinson Voice Project are extremely kind and generous of their time – I’m sure they would be agreeable to answering your questions. Give them a call or shoot them an email! Also – materials aren’t shipped to you until you complete the training course. Hope that helps! And thanks for reading the blog! Hi — did your materials kit come with a session by session plan?? somehow i thought it would but mine did not. i will need to make my own so i can be completely prepared for each session. or is there a place we can purchase one?? Thanks !! Hi Sue! There was a section of my course manual that listed 10+ Step by step lesson plans and some explanation of how to use the materials in a session. I would check there!